Pixel Scroll 5/6/17 And He Called For His Pipe, And He Called For His Scroll, And He Called For His Pixels, Three. (1) DUALING. Sherwood Smith discusses “Tremontaine: When Collaboration Really Works” at Book View Café. Nowadays, collaborations are happening in all kinds of forms, in print form in our genre not just the traditional pair of co-authors: there was a rise of senior writer-and-junior writer combos, and the continued series. Then there are the collaborations that share a lot in common with film development, in which writers gather (in film it’s the writers’ room) and hammer out a story between them all. Then they either go off separately and write portions, or they pass material back and forth, each adding or subtracting or putting their own spin on the emerging narrative. The most successful of these that has come to my attention lately is Tremontaine, which initially came out in episodes from Serial Box. Serial Box in itself is interesting: they are using a TV model for readers. The episodes come out weekly, and I believe most if not all are developed by teams. The episodes individually are cheap—less than you’d spend on a Starbucks coffee…. (3) STAR TREKKIN’. Visit the edge of space with Captain Kirk. Space.com tells how — “‘Star Trek’ Icon William Shatner to Take Zero-G Flight in August”. This August, William Shatner will get closer to the final frontier than he ever did in his “Star Trek” days. The 86-year-old actor, who famously portrayed Captain James T. Kirk in the original “Star Trek” TV series and a number of movies, has signed up for an Aug. 4 flight with the Zero Gravity Corporation (Zero-G). The Virginia-based company sells rides on its modified Boeing 727 aircraft G-Force One, which flies in a series of parabolic arcs to give passengers brief tastes of weightlessness. You have a chance to share this adventure with Shatner, if you wish: Zero-G is selling a limited number of tickets aboard the actor’s flight for $9,950 apiece, plus 5 percent tax. (For perspective: a seat aboard a normal Zero-G flight runs $4,950, plus 5 percent tax.) Go to Zero-G’s website if you’re interested. (4) TOURING CHINA. China Miéville is coming to the U.S. later this month on a book tour promoting October: The Story of the Russian Revolution, which is non-fiction. (5) COMING ATTRACTION. 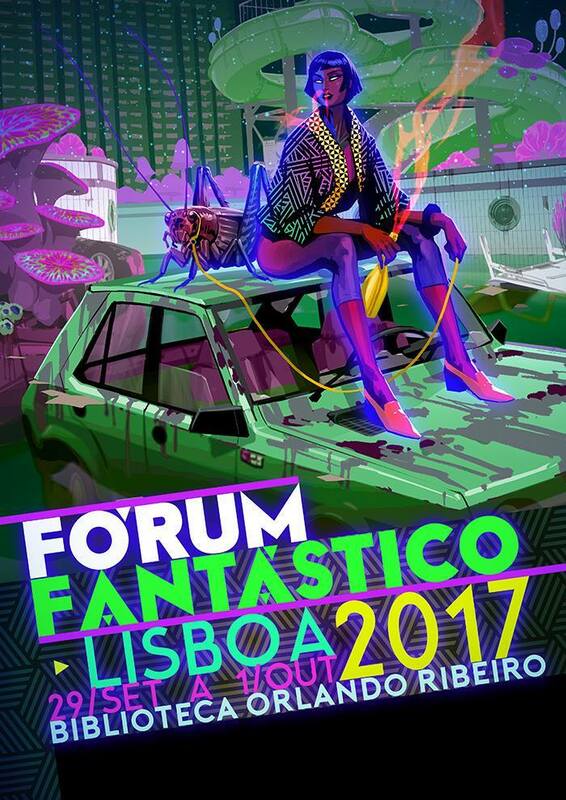 Teaser poster for the FORUM FANTÁSTICO convention taking place in Lisbon, Portugal this September. In The Big Bang Theory series Wil Wheaton is a recurring character. In one episode, Sheldon goes to Wil’s house to confront him. The house number is 1701…a homage to the USS Enterprise. History of Free Comic Book Day Free Comic Book day was established by Joe Field in 2001. While writing for a magazine of the comic industry, he noted that there had been a resurgence in purchases in the wake of the recent flow of comic book franchise movies. Society and finances were both looking favorably on this unending wealth of stories, and so it was that he suggested the institution of a Free Comic Book Day to spread the fandom as wide as possible. (8) FUR AND FEATHERS. Special effects aficionados will love the preview reel for the upcoming SIGGRAPH conference. SIGGRAPH 2017 brings together thousands of computer graphics professionals, 30 July – 3 August 2017 in Los Angeles, California, USA. (9) A FEATURE NOT A BUG. Dragonfly cyborgs will fight terrorism reports Fox News — “How insect cyborgs could battle terrorism”. The US military, like others around the world, has long pursued tiny flying robots to deploy for surveillance. Armed with tech like cameras and sensors, these flying robots could gather data that larger technology or humans could not. To be useful in realistic conditions, the drones would need to be able to fly for long periods of time and be able to navigate around obstacles. They also need to be able to carry the weight of the data gathering systems. (10) THE WORLD ON A STRING. If you like expensive toys, here’s a chance to pay a lot for “Yomega – Star Wars – Darth Vader – The Glide Yo-Yo” – tagged at $118.25. 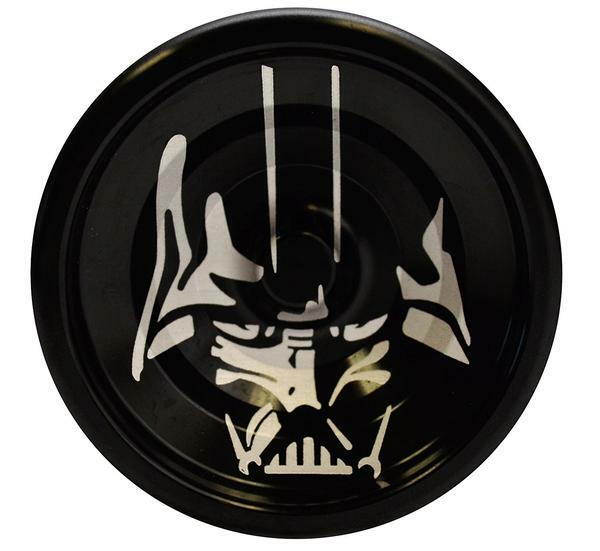 Now available for a limited time, Yomega has produced its professional level yo yo, The Glide, in a collectible Star Wars Series with laser etching of Darth Vader and both Rebel and Imperial symbols. The Glide has been engineered to the highest competition level standards. Machined from airplane grade aluminum, with a silicone pad return system and the world famous Dif-e-Yo KonKave bearing, this is a yo-yo meant for the most discerning player. If you want the “Force to be With You” this is a must have piece for your collection. 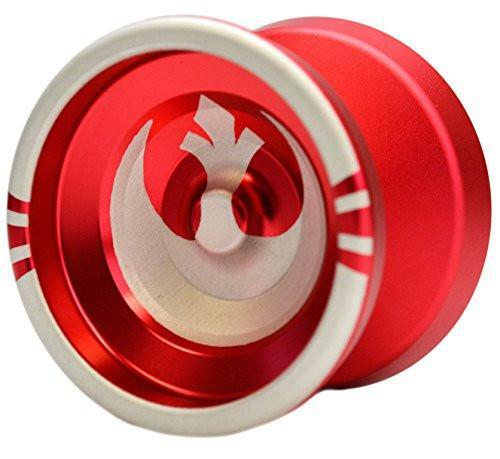 Or for the same price you can rock the rebel logo — “Yomega – Star Wars -Rebel Symbol – Glide Yo-Yo”. Alan Dean Foster, the author of the very first Star Wars book, remembers George Lucas doing him a huge solid, even when the fledgling director wasn’t rich. The original Star Wars was released on May 25, 1977, and a full six months before that, on November 12, 1976, its novelization hit bookstore shelves. Though the author of the book — Star Wars: From the Adventures of Luke Skywalker — is listed under George Lucas’s byline, the novelization was in fact ghost-written by Alan Dean Foster. Directed by Sam Raimi and starring Tobey Maguire in the title role, the eagerly awaited comic book adaptation Spider-Man was released on Friday, May 3, 2002, and quickly became the fastest movie ever to earn more than $100 million at the box office, raking in a staggering $114.8 million by Sunday, May 5. (13) BRADBURYVERSARY. Seventy years ago this week, recalls Phil Nichols, Ray Bradbury’s first book was published. 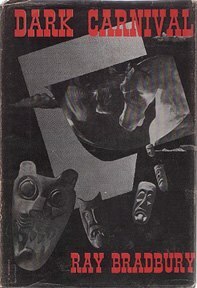 DARK CARNIVAL, a hardcover from Arkham House, collected Ray’s finest dark fantasy stories, most of them having previously been published in WEIRD TALES magazine. Some of the classic story titles you may recognize: The Lake, The Small Assassin, The Jar, The Homecoming, The Crowd, The Scythe, There Was An Old Woman, Uncle Einar. Some of his best-ever fiction; and some of the best fantasy fiction of the twentieth-century. Ray revised some of the stories between their WEIRD TALES appearances and their first book appearance. Then, with the passing years, he came to have second thoughts about some of the stories, and so he re-wrote them again when they were re-packaged for a new book, THE OCTOBER COUNTRY. The OCTOBER COUNTRY remains in print to this day. Because of THE OCTOBER COUNTRY, Ray allowed DARK CARNIVAL to retire, and only once permitted a re-printing. That was for a special limited edition from Gauntlet Press. Both the original book and the Gauntlet edition are out of print today…. (14) BRICK AND MORTAR. Atlas Obscura takes you inside “Internet Archive Headquarters” in San Francisco. With the stated mission of providing “universal access to all knowledge,” the Internet Archive is one of history’s most ambitious cataloging projects. So far millions of books, movies, television, music, software, and video games have been collected and digitized by the project, and that’s not counting the billions of websites they’ve been archiving over the past two decades with the Wayback Machine. Fitting of such an ambitious project, the archive’s brick-and-mortar headquarters are also quite grand. The old Christian Scientist church in San Francisco’s Richmond district was chosen largely because the church’s front resembled the Internet Archive’s logo: the Library of Alexandria’s Greek columns. Inside the beautiful building you’ll find dozens of employees and volunteers digitizing everything from old home movies, to old LPs, to 8-bit video games…. (15) THUMBS DOWN ON DARK TOWER TRAILER. According to Forbes, “‘The Dark Tower’ Should Be A Surrealist Western, Not A Superhero Blockbuster”. When I pictured The Dark Tower movie, I thought about the structure and pacing of The Good, The Bad and the Ugly mixed with the tone of The Road with the aesthetics of The Cell. If that sounds wacky, good, because The Dark Tower is wacky as hell. It’s a western with high fantasy elements thrown in, mixed with every book Stephen King has ever written, and actually includes Stephen King as a character himself in one of the most surreal storylines in literary history. But what I’m seeing from this trailer weirds me out in a bad way…. (16) IN LIVING BLACK & WHITE. Terror Time forewarns — “LOGAN – B&W Version of Film Hitting Theaters In May”. Fans of Wolverine will be getting an extra treat very soon. A Black & White version of the film ‘Logan’ will be hitting theaters May 19th and it will also be included on the DVD when that hits the shelves. Only down side of this awesomeness is that it will only be released in U.S. theaters. This all started when the film was first released and a fan tweeted at the director James Mangold asking if a B&W version could be done like Mad Max. The director replied in kind and here we are. (17) NEIL CLARKE, MOVIE STAR? I’m sure it’s just a coincidence. Watch the Absolutely Anything trailer. This entry was posted in Pixel Scroll and tagged Alan Dean Foster, Big Bang Theory, China Miéville, drones, Ellen Kushner, George Lucas, Jeff VanderMeer, Neil Clarke, Phil Nichols, Ray Bradbury, Sherwood Smith, Star Trek, Star Wars, Wil Wheaton, William Shatner, Wolverine by Mike Glyer. Bookmark the permalink. Thank you Cassy B for having the same problem as me, with Kindle for PC and Calibre. I have been having this same problem for the past month or so, but for the life of me could not figure out where the malfunction was. Lis Carey’s post “You want Kindle for PC 1.17.1 (44183) so that you can continue to convert files in Calibre.” made me check what version of Kindle for PC that I had. It turns out that I had version 1.20. I guess that an update somehow snuck in, when I was not looking. Downloading version 1.17.1 did the trick. Thank you again to Lis Carey, Rev. Bob, P.J. Evans, Mark,& Casey B. for all of your input. Reading is fun until your devices decide to revolt. John A. Arkansawyer (re Klages): If I see Klages (who sometimes comes to Readercon) I’ll ask. It’s possible that sales of White Sands, Red Menace weren’t good enough for the publisher to try a third; IIRC that happened to Delia Sherman’s Changeling ~series. (A pity, as IMO the 2nd book was much better than the first; I especially liked the ending’s qryvorengr oernxvat bs gur evpurf-gb-entf-gb-evpurf (be ivpr-irefn) gebcr orybirq bs byq zbivrf. What the heck, why not? Quote away, James Davis Nicoll.